The award winning David Bowie Band. A stunning tribute to David Bowie. 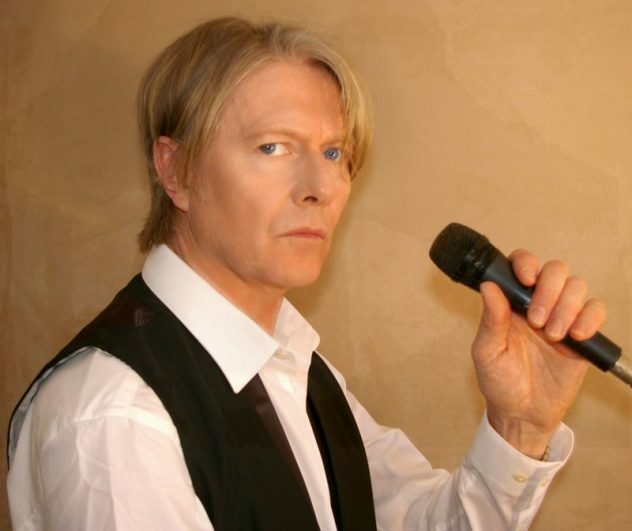 The David Bowie Band performs the greatest hits of David Bowie, from every era of ‘the guy’s’ career from the 70’s through to the nineties and beyond. The front man, Paul, a huge fan of Bowie, accurately portrays the charismatic performance of his hero. sister of the legendary ‘Spider from Mars’ and Bowie side man Mick Ronson. ‘Singing for Maggi Ronson was an amazing and emotional moment for me” Paul said. He performs solo, or backed by a fantastic band of experienced, pro musicians to provide a pulsating night of pure, authentic Bowie! Click on the icon below to have a listen to a medley performed by the David Bowie band.